A fantastic view in the Barri Gotic quarter of Barcelona, over looking the various shops and dwellings along the Banys Nous. 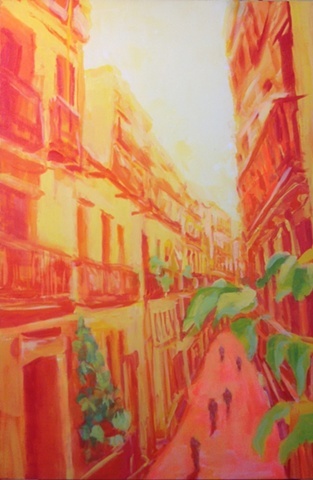 A large painting that creates a blast of color and a unique vantage point. It is almost the size of an average window adding an extra view to any interior space.